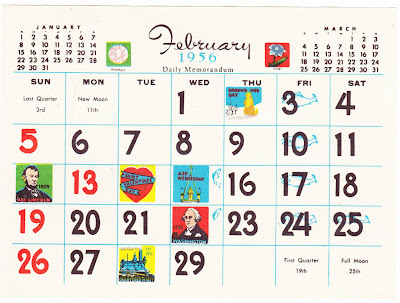 But if you don't have a 2012 calendar, you can recycle an old one. Your options, however, are somewhat limited. 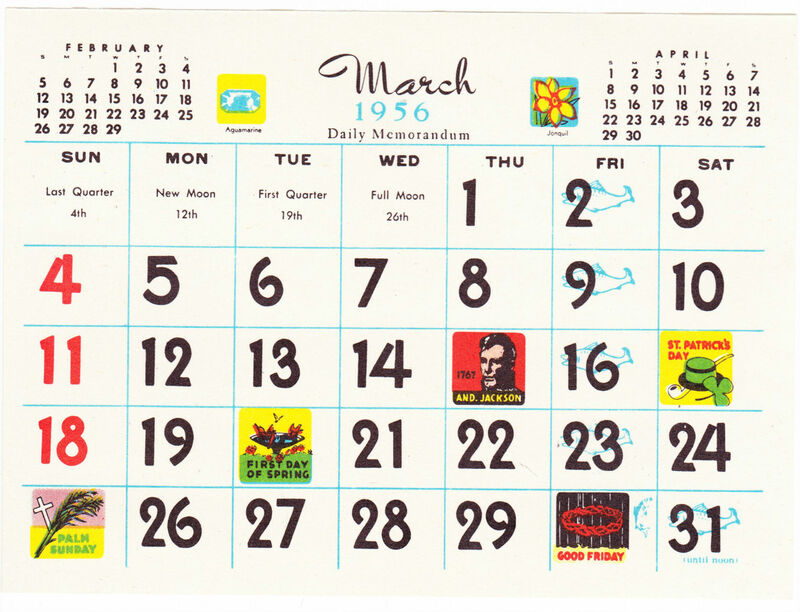 Because this is a Leap Year, there aren't as many past calendars that start on a Sunday and have 366 days, as is the case with 2012. 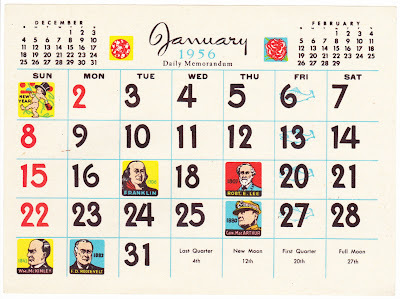 Of course, it just so happens that I have a 1956 calendar. 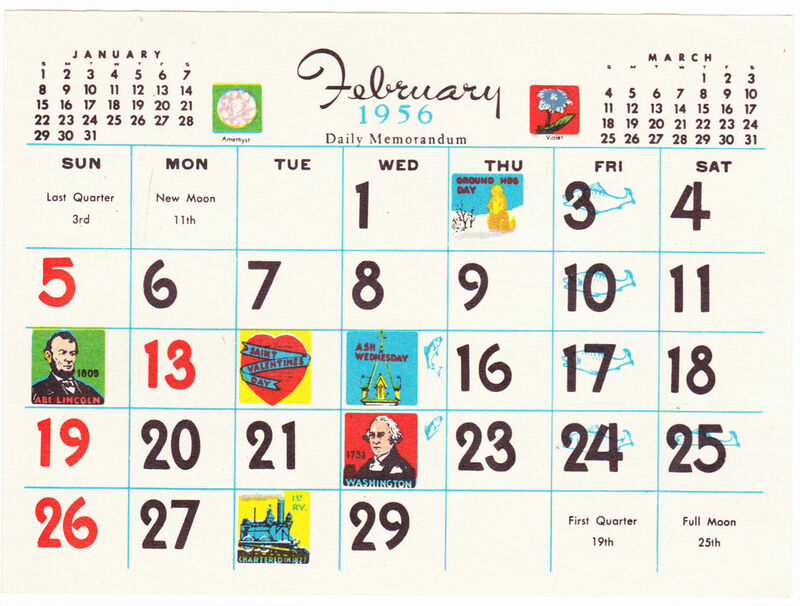 It's a pad calendar that's 4⅜ inches wide by 3¼ inches deep. The first three months from the pad are pictured today. 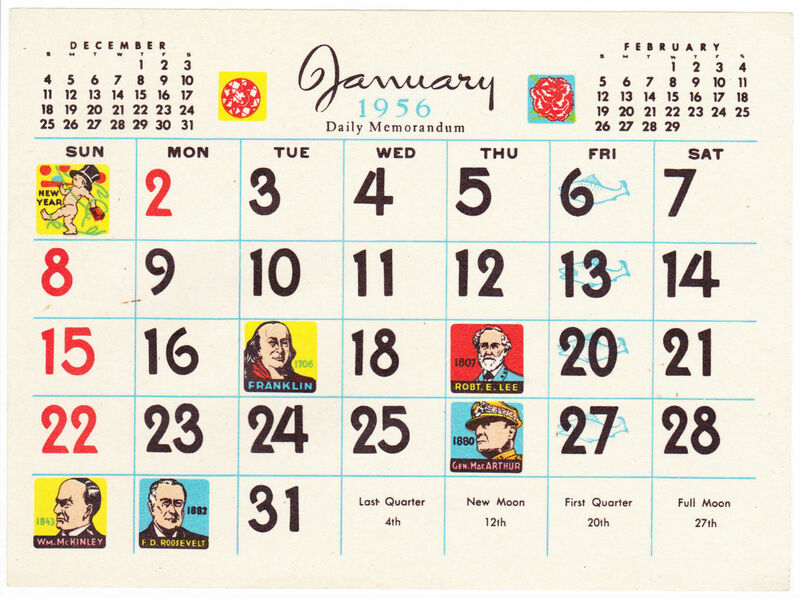 The 1956 calendar pages include a number of birthdays, including presidents, Benjamin Franklin, Robert E. Lee and Douglas MacArthur. Also, in a somewhat random but interesting historical aside, February 28 is marked as the anniversary of the 1827 incorporation of the Baltimore and Ohio Railroad, which was the first railroad in the United States to offer commercial transportation of both people and freight. 1. 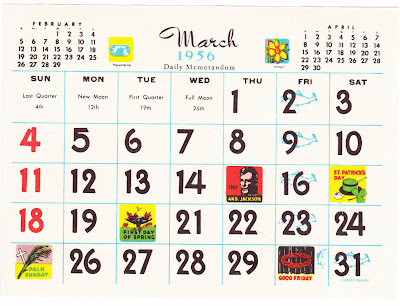 Not all holidays, however, will match up, even though the calendars are the same. That's really cool. What's the significance of the words "Daily Memorandum" under the month/year? Something to make it seem more sophisticated than just a calendar?